Indeed, Istanbul is filled with cultural and historical sites like the Blue Mosque, Hagia Sophia and much more but there are other fun things to do as well! One needs to try out everything that the beautiful Istanbul offers! Let’s find out what Istanbul has beyond the cultural heritages! 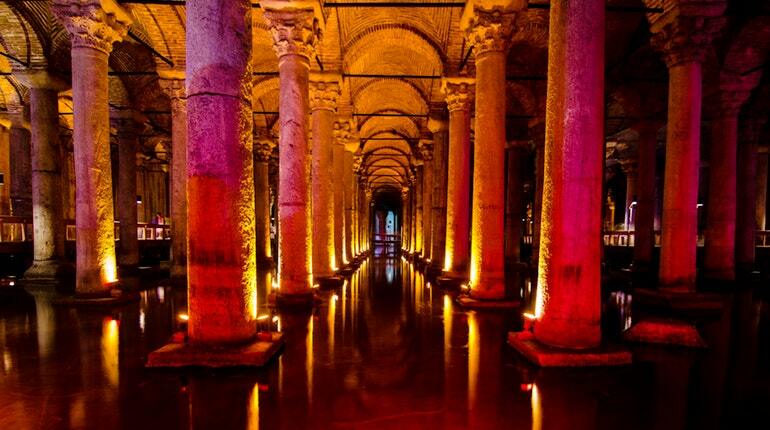 An underground cistern locally known as Yerebatan Sarayi (Sunken Palace) also as Yerebatan Sarnici (Sunken Cistern) was once the main water reservoir of Constantinople built in the sixth century. It is filled with centuries old columns. The ambience inside is dimmed orange shades where you need to walk over the wooden planks to get around. You can see Koi fish swimming in the standing water, and there are two mysterious statues with the head of Medusa and you can also hear the drips echoing creating a scary movie atmosphere. Isn’t it a mysteriously fun place to make a visit! Taking a bath in any of the real hammams (Turkish Baths) in Istanbul is a must! As the ones at the hotels are made for westerners that are not a real deal! Real hammams are a part of the Turkish tradition since thousands of years and served as a place to cleanse as well as to socialize. Most hammams are separated gender wise. Traditionally, the Turkish baths followed a three step process i.e. a sauna and steam followed with a full body wash and finished off with a massage. 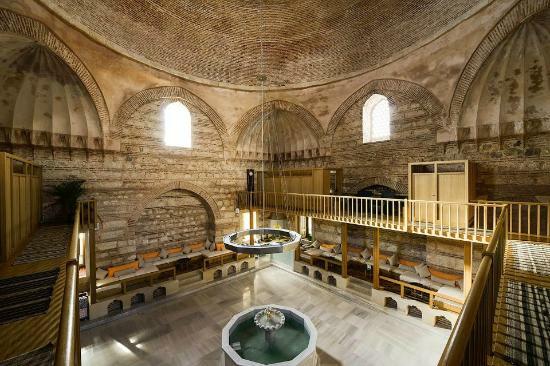 Kilic Ali Pasa Hamam, Ayasofya Hurrem Sultan Hamami, Cemberlitas Hamami are few of the currently used hammams. Other fun activities include exploring the Asian side, taking a ferry passing Topkapi Palace, the Bosphorus Bridge, other castles and palaces, and more. Istanbul is a place full of cultural as well as fun activities but to enjoy and explore the city to the fullest hiring a knowledgeable and reliable Istanbul tour guide is mandatory who can make you acquainted with the culture and tradition of the place really well and hence making your trip an exciting one. Turkey Tours by Local Guides aim to provide you the best touring experience in Istanbul. Please feel free to stay connected with us on Facebook, Twitter and Google+ social networks!